Coordown, the National Association for people with Down Syndrome in Europe, celebrates World Down Syndrome Day 2014 on March 21 with a message for future mothers. The campaign was inspired by an email that an pregnant mother, expecting a child with Down’s syndrome, sent to CoorDown. “What kind of life will my child have?” the mother asks. 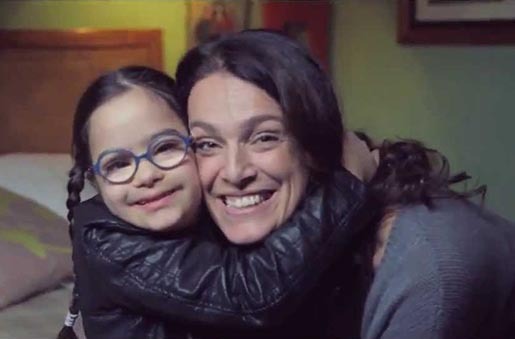 To respond to the expectant mother, and others like her, Saatchi & Saatchi Italy filmed responses from 15 individuals with Down syndrome from across Europe, in their native languages. The people, through the CoorDown YouTube channel, explain that her son’s life will be happy, just like theirs: that he will be able to learn how to write; he’ll be able to travel; he can earn a salary and take her out to dinner; and when he is older he will be able to live alone. Sometimes it will be very difficult, almost impossible, but isn’t that the case for all Mothers? The official hashtag for the Dear Future Mom campaign is #DearFutureMom. See the previous award winning campaigns from 2012, Integration Day, and 2013, #DammiPiùVoce” (Turn up my voice). The chosen theme for World Down Syndrome Day this year is the right to happiness and well-being of people with Down syndrome. The goal is to promote a culture of diversity and true integration into society, especially in the worlds of school and work. The Future Moms campaign was developed at Saatchi & Saatchi Italy by executive creative director Agostino Toscana, creative director/copywriter Luca Lorenzini, creative director/art director Luca Pannese, agency producer Sabrina Sanfratello and head of TV Raffaella Scarpetti. Filming was shot by director Luca Lucini via The Family. Post production was done at XChanges VFX. Colour grading was done at Band. Audio post production was done at Top Digital and Cat Sound International. Original music was produced at Stabbiolo Music by Alessandro Cristofori and Diego Perugini. Voice over is by Pasquale Anselmo.